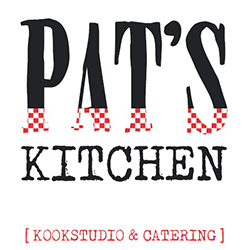 English PAGE - Kookstudiobrabant.nl - Hét overzicht van kooklocaties in Brabant! During our cooking workshops we encourage our guests to experiment, taste and handle food. Our chefs are professional trained and like to create delicious food for and with you. Workshops for companies are available for a minimum of 6 persons and a maximum of 100 persons. Our cooking lessons are great as company teambuilding activities where colleagues cook along side each other, working together and at the same time having an enjoyable fun time in a relaxed friendly atmosphere or an original and interactive way to entertain and build relationships with clients! From the moment you enquire with us, we are dedicated to providing the very best service and experience for your group. For a customized offer we recommend you to give us a call. Our opening hours are Monday till Friday from 9 am till 5 pm. We cooperate with more than 50 locations in the South of The Netherlands where you can join a cooking class.